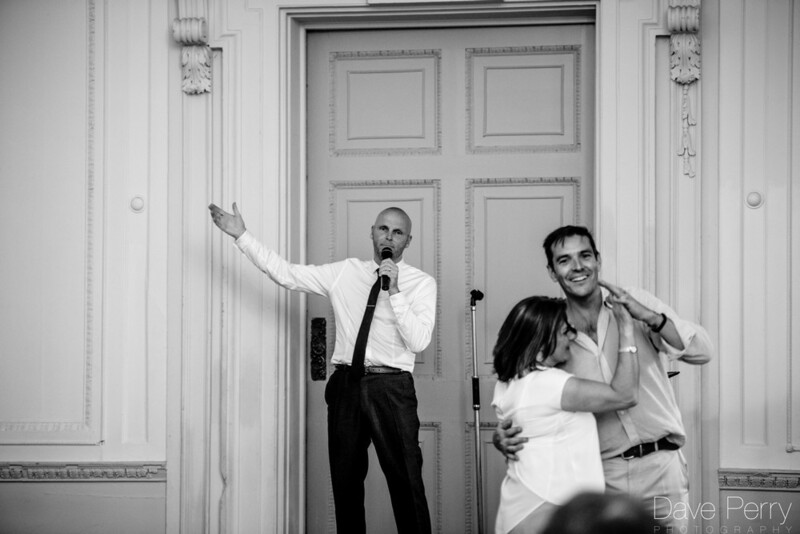 "The best wedding singer in the world"
"Andy was simply wonderful. 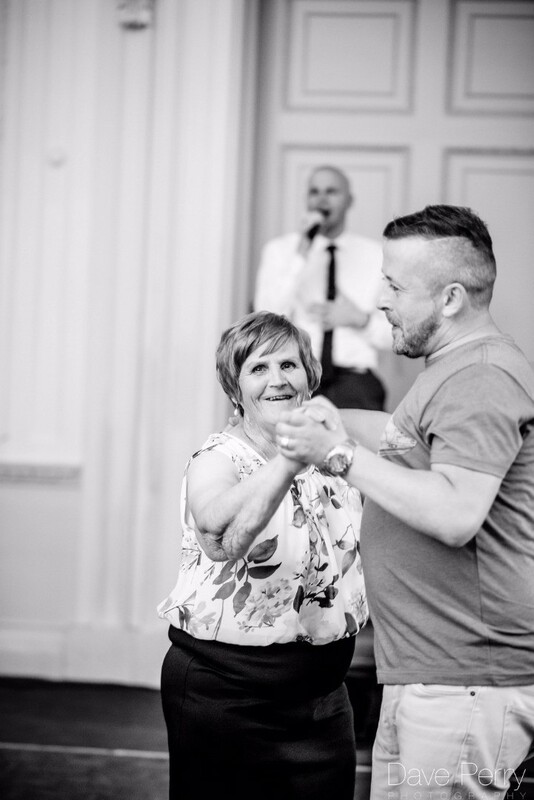 He brought a bit of magic and joy to my mum's special..."
"Kept everyone entertained for the whole evening"
"Thank you again for making my night so special"
"He is extremely talented, with a wonderful voice." 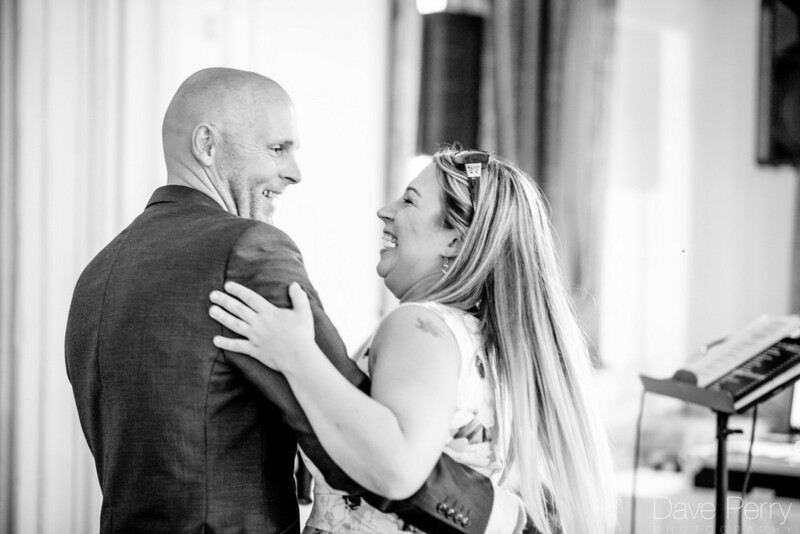 "I would have NO hesitation in either recommending him or booking him again!" "The performance was absolutely brilliant." 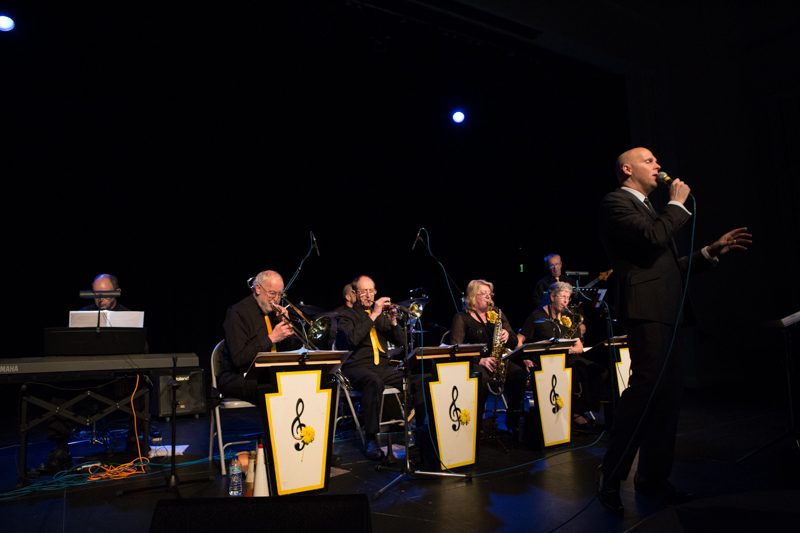 From Mack the Knife to Brown Eyed Girl - If you enjoy a great melody from the leading artists of the last 50 years Andy's your man! 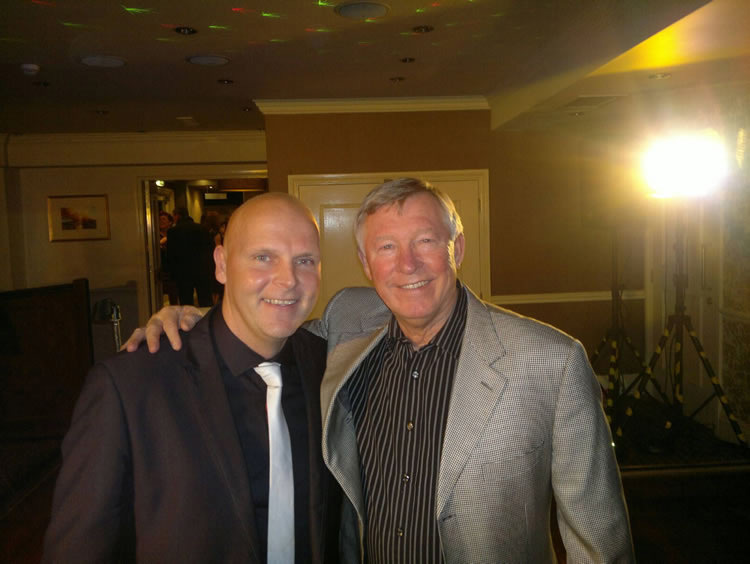 Previous clients include Sir Alex ferguson, the cast of Coronation Street, Manchester United to theatres throughout the UK! Make your performance more personal with requests taken for a small charge and 2 weeks' notice required! 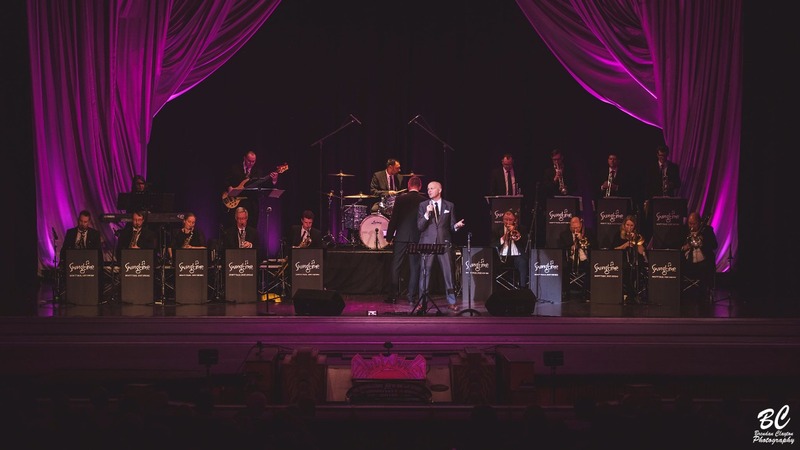 A live pianist or 9 piece band available to make your event even more special! Music between sets provided free of charge!  Solo Singer - Self contained (Quality backing tracks). 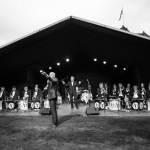 *Pianist and 9 piece band also available (please see booking options for more details). * From Mack the Knife to Brown Eyed Girl - If you enjoy a great melody from the leading artists of the last 50 years Andy's your man! 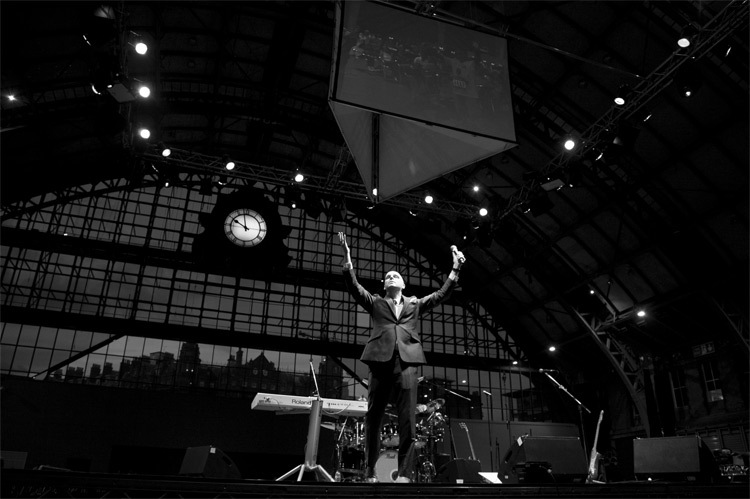 * Also available with a piano option and within a 9 piece band! 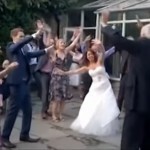 * DJ Package available to provide music after Andy's last set. 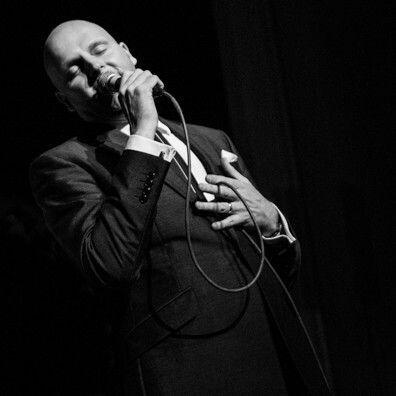 Andy Joseph is a modern day jazz singer with a voice capable of singing the most beautiful swing or soulful ballad with the ability to change direction and inject a rough edge to a more up-tempo style when required. Think of a mix between Michael Bublé and Marvin Gaye and Andy falls somewhere in between. 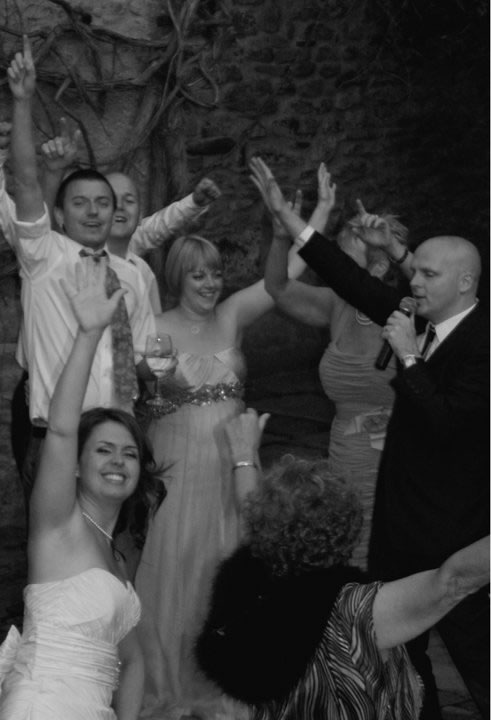 Having been singing for over 20 years Andy has a sophisticated and unobtrusive style that can enhance any occasion. 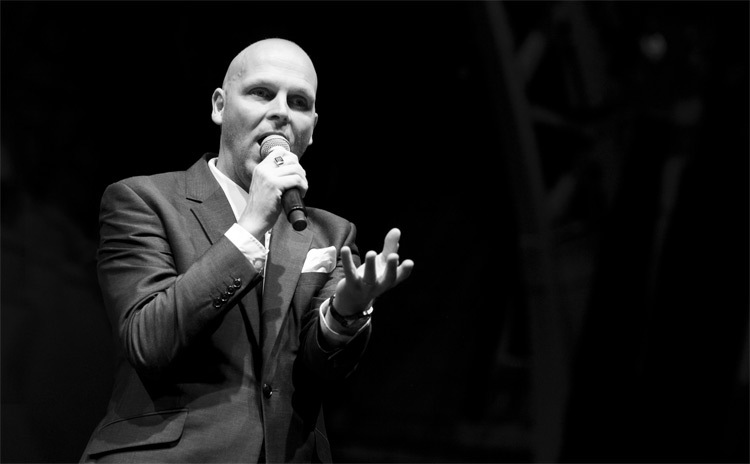 With a superb sense of humour thrown into the mix he is capable of entertaining a varied audience. 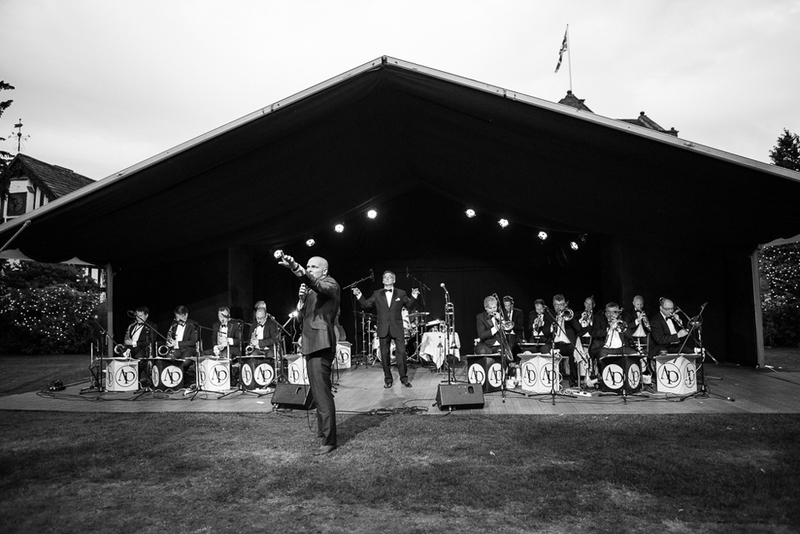 Andy has performed with The National Festival Big Band Orchestra at venues such as The Bridgewater Hall in Manchester to smaller more intimate settings. 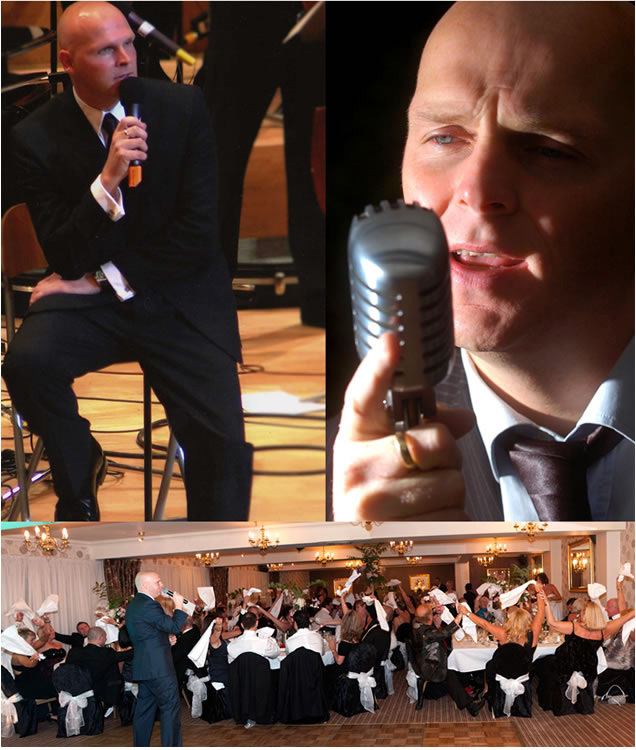 From marquee weddings to large Theatres, Andy has performed his brand of Jazz and Soul standards around the country and is just as comfortable singing to 50 people as he is to 2500 people. Andy has a client base of many of the top Northwest hotel chains. 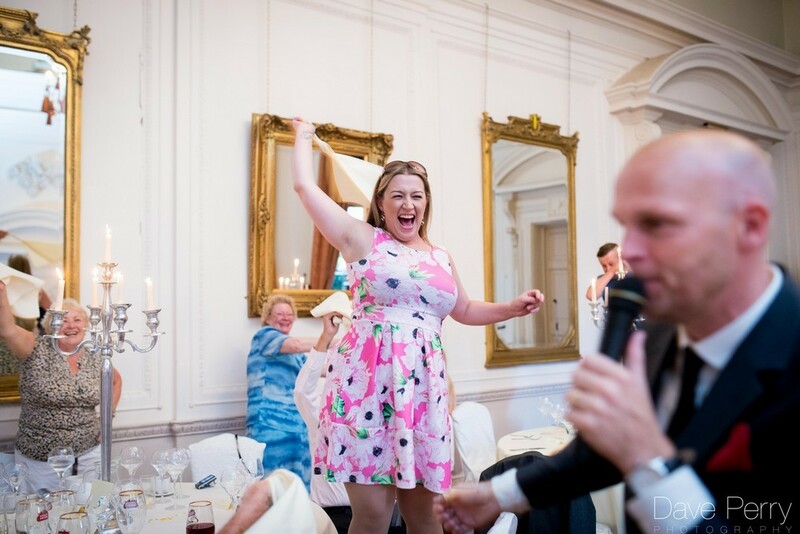 From the Lowry, Hilton and Midland Hotels in Manchester to some of Cheshire’s most exclusive and beautiful venues such as The Cottons Hotel & Spa (resident singer) Mere Golf & Country club, The Alderley Edge Hotel and and Shriggley Hall to name but a few. 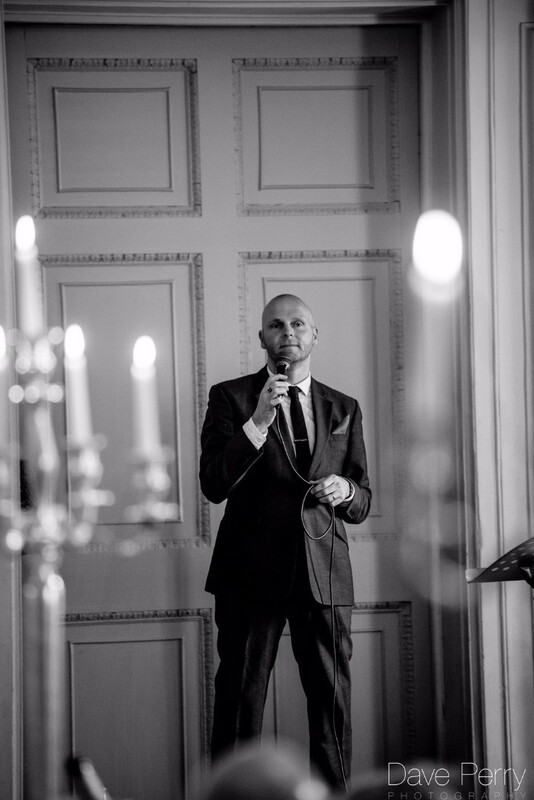 As an MC/Compere Andy is capable of hosting any type of event being the perfect link man auctioneer or general host. 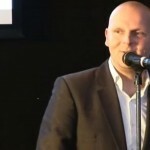 Andy is also a resident compere/MC at Manchester United on corporate match days. 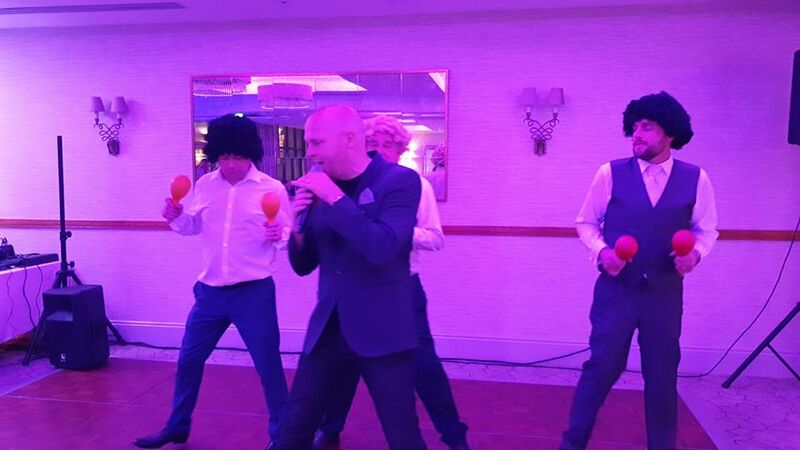 Andy's recent performance for Sir Alex ferguson's private Christmas ball was described as 'Brilliant and thoroughly entertaining' by the man himself. 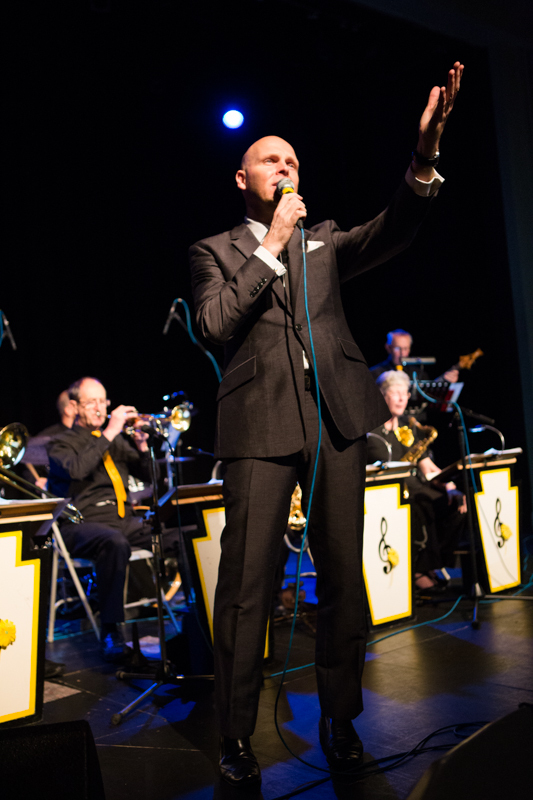 An avid admirer of the swing era, Andy is sir Alex's first choice when it comes to booking a live artist. 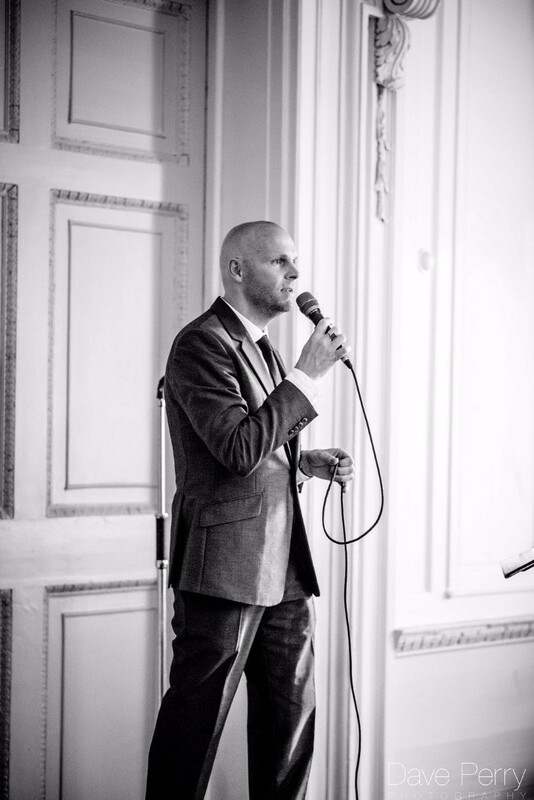 Andy performs at many celebrity events and has recently worked with Heather Small on her UK tour and international dates. 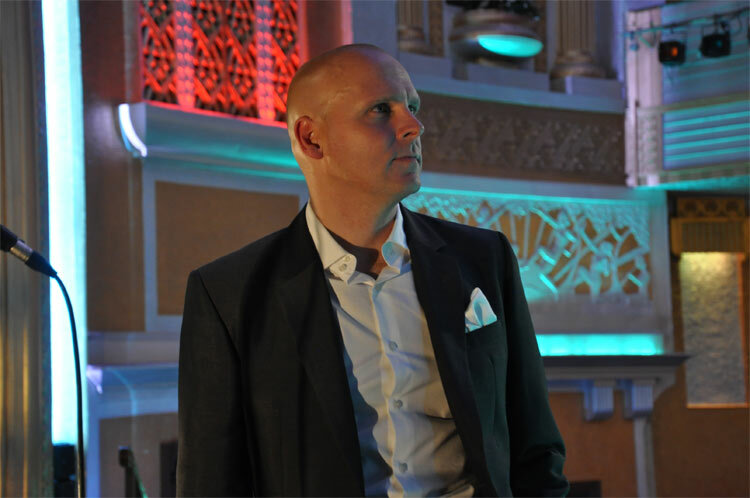 As one of the countries most in demand entertainers, Andy Joseph takes bookings two to three years in advance and generally has twelve months ahead already booked. 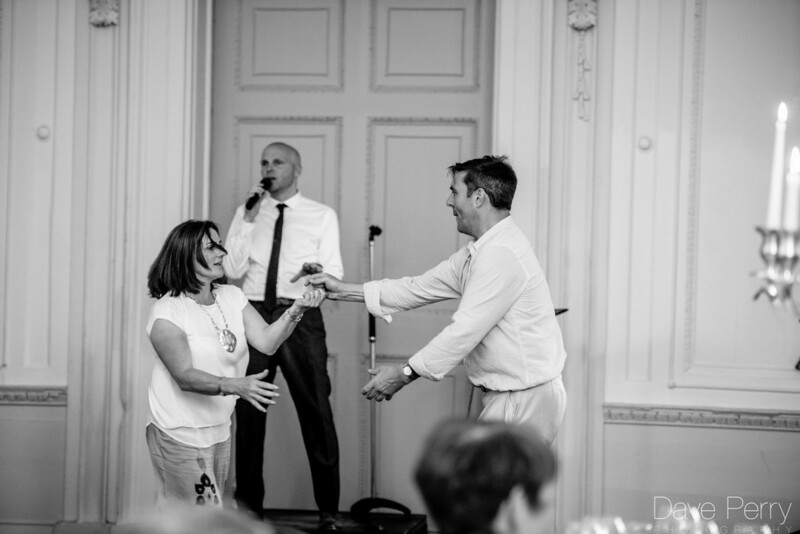 Alive Network are the only agency in the UK to offer his services so don't miss out on the opportunity to book this fabulous performer and take time out to read his outstanding reviews from many happy customers. 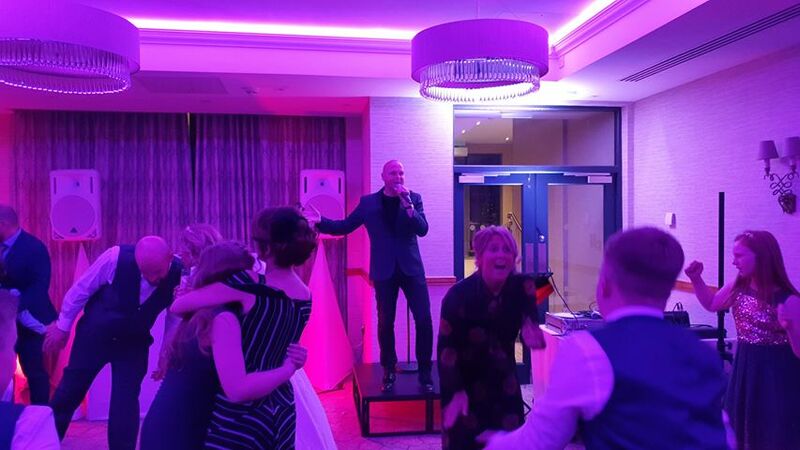 With the latest state of the art EV/Dynacord PA technology, Andy can cater for any size of audience and if required can also provide sophisticated back ground music or even act as a DJ for the evening (Andy has over 15 years' experience as a DJ). 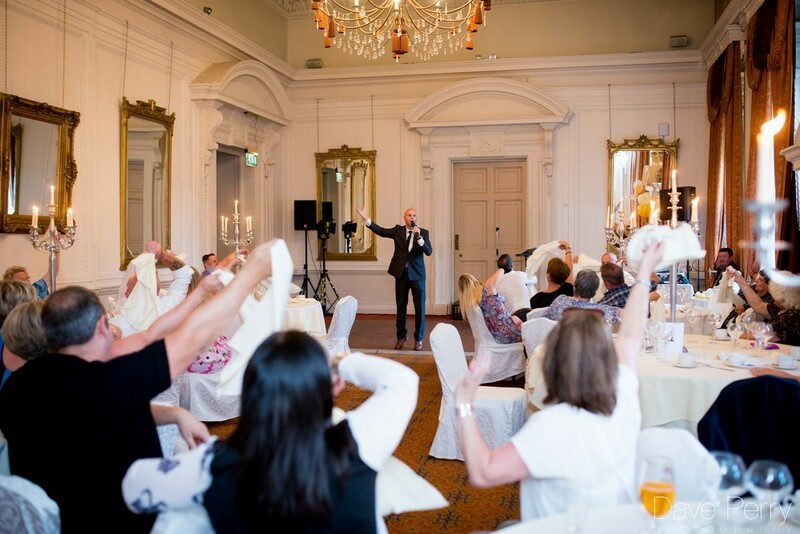 The consummate professional with an aim to make your evening ‘not just another do’ but an experience to leave you with a smile on your face and the feeling of having had a great night/occasion where you have been thoroughly entertained. 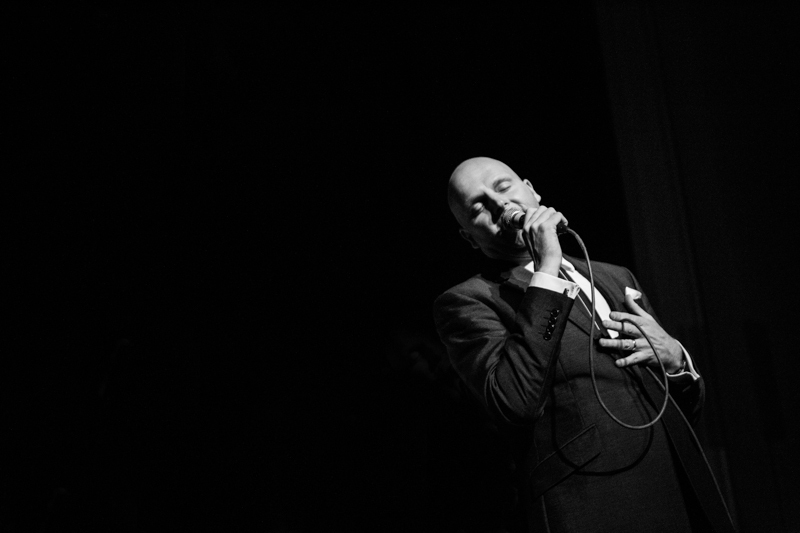 One thing is certain and that is if you book Andy Joseph you won’t be disappointed. 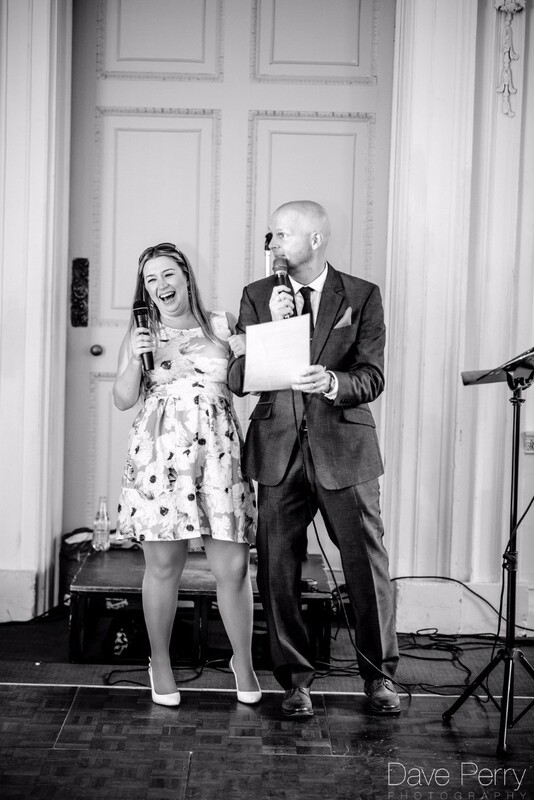 If you wanted a more subtle approach then Andy can be accompanied by his own personal pianist to add that extra touch of class. Ideal for that black Tie event or champagne reception as well as during dinner or even part of your main entertainment. 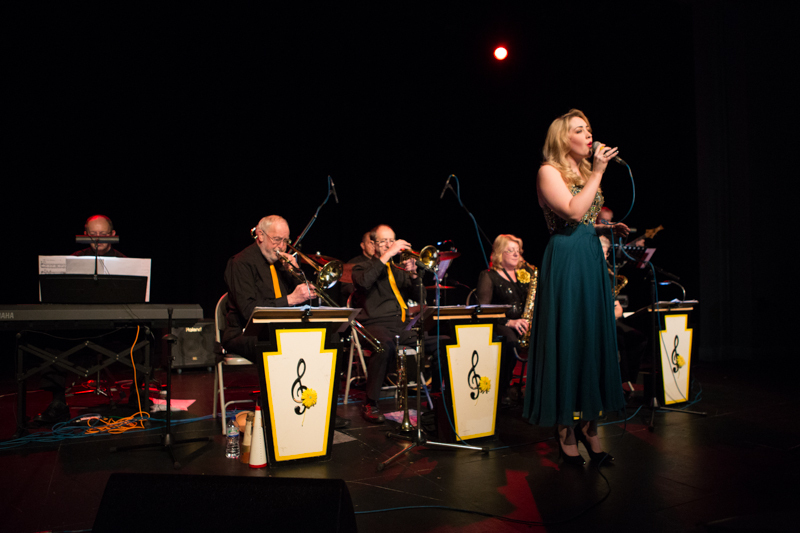 The Bridgewater Hall (Performed with the National Festival Big Band Orchestra). The Royal Northern College of Music. Floral Pavillion Theatre, New Brighton. Assembly Halls Theatre, Tunbridge Wells. 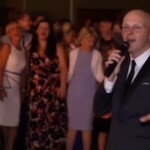 The Cottons Hotel & Spa, Cheshire (resident singer 2007/2014). 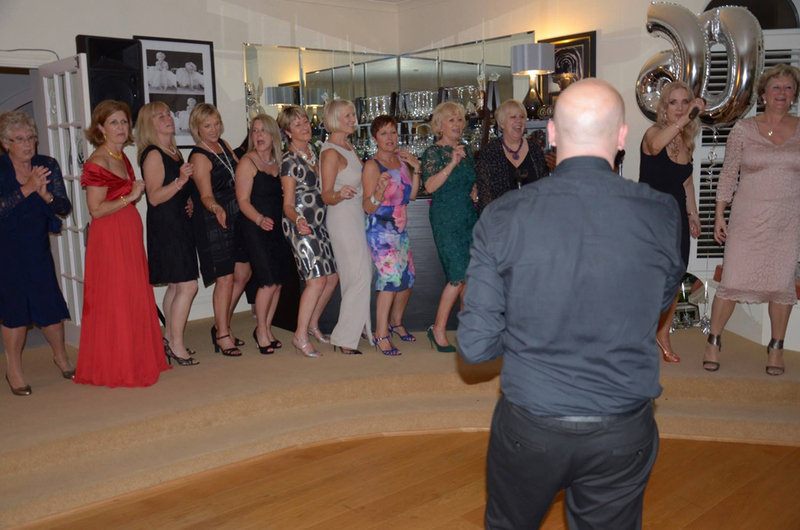 The Quay Hotel, North Wales (Resident singer 2014/15). The Alderley Edge Hotel, Cheshire. Rosso Restaurant (owned by Rio Ferdinand) Manchester. City West Housing Association Manchester. See previous information already supplied to Alive network – i.e. references from clients/venue details.